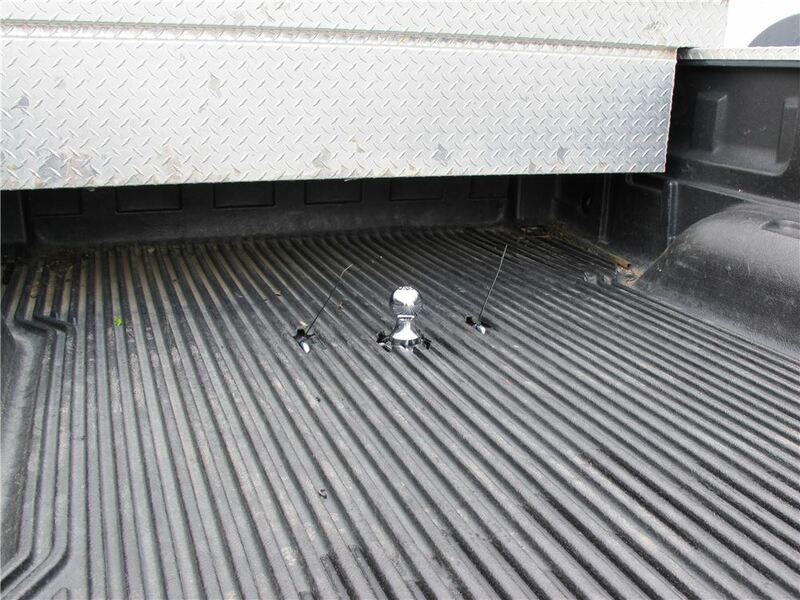 Get a little extra security when you are towing with Curt's double-lock, gooseneck hitch. 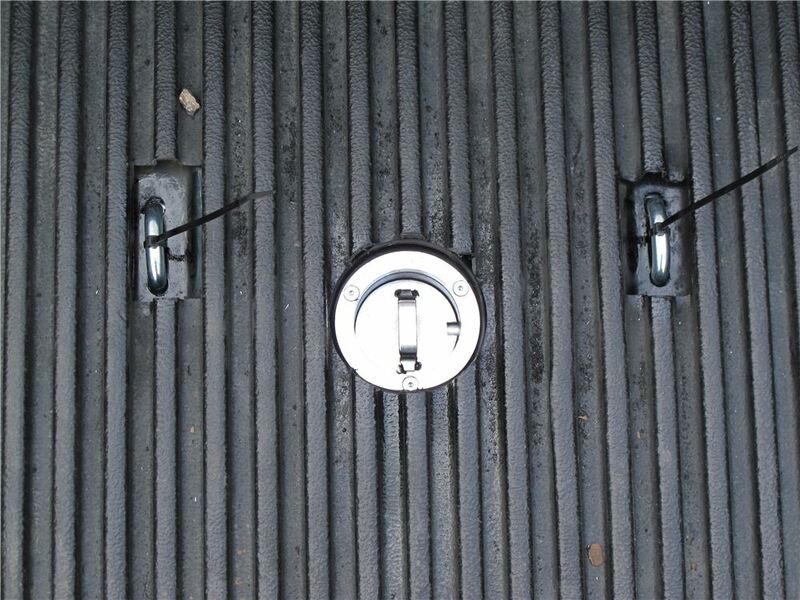 Chrome-plated ball locks in place with two pins while towing and flips over for storage inside the hitch when its job is done. Installation kit included. Call 800-298-8924 to order Curt gooseneck part number C60712 or order online at etrailer.com. Free expert support on all Curt products. 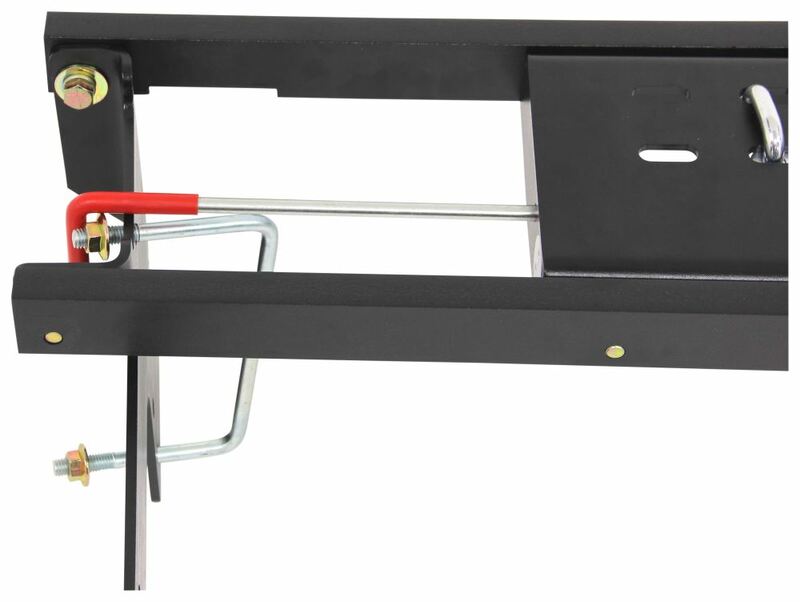 Guaranteed Lowest Price and Fastest Shipping for Curt Double Lock, Flip and Store Underbed Gooseneck Hitch w/ Installation Kit - 30,000 lbs. Gooseneck reviews from real customers. 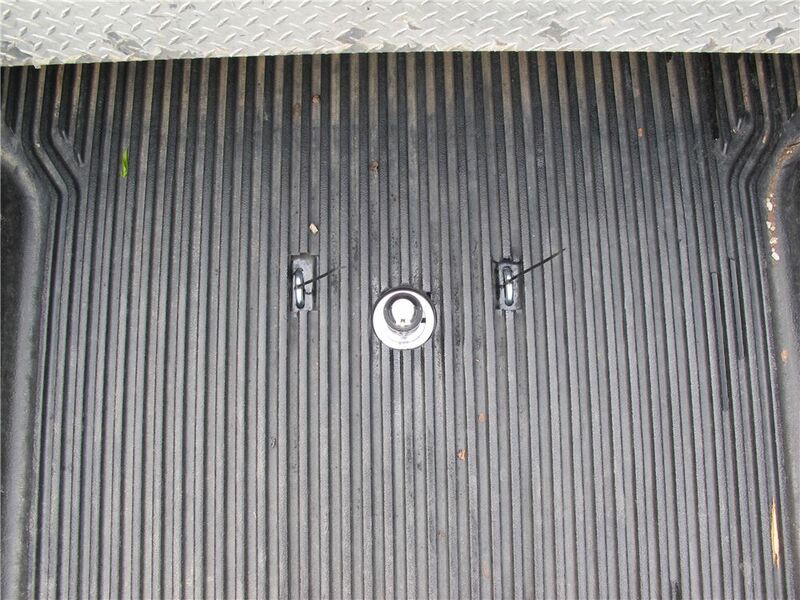 Get a little extra security when you are towing with Curt's double-lock, gooseneck hitch. 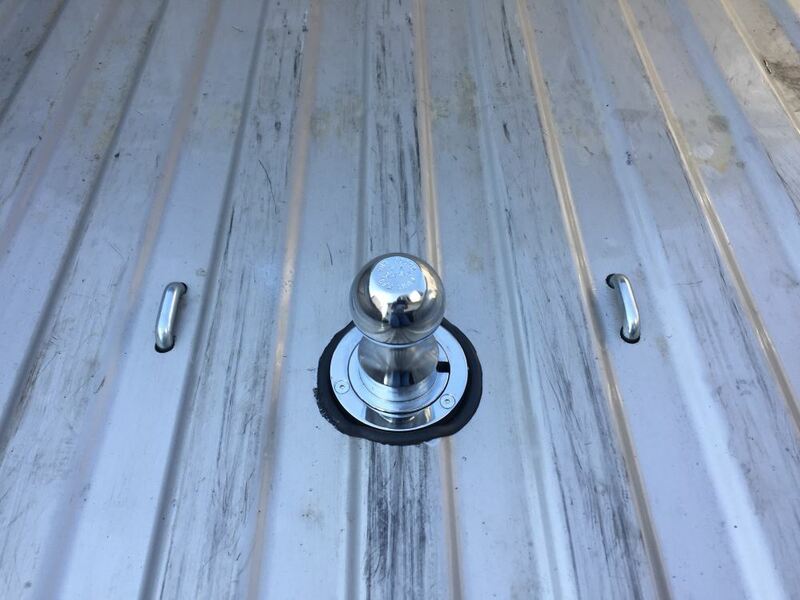 Chrome-plated ball locks in place with two pins while towing and flips over for storage inside the hitch when its job is done. Installation kit included. 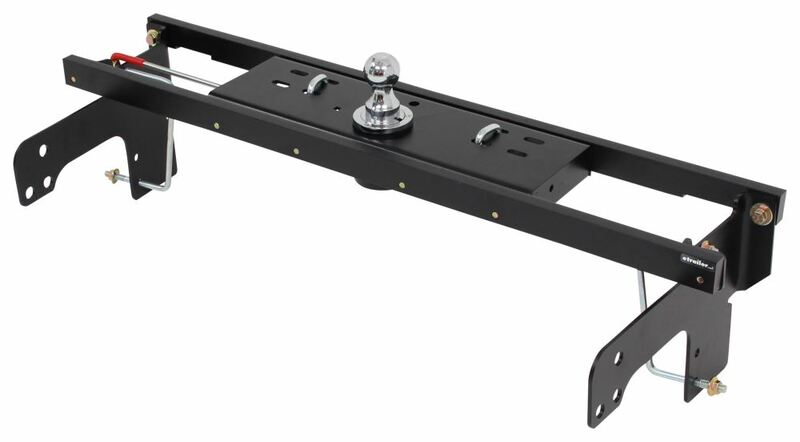 The Curt Double Lock underbed gooseneck trailer hitch provides a sturdy, secure connection for towing your gooseneck trailer and also allows for a clean, unobtrusive look for your truck bed when you aren't towing. To tow, simply pull the included handle out to unlock the hitch. Then insert the chrome-plated hitch ball into the ball hole. You may need to rotate the ball to line it up with the dual locking pins. When the ball drops into place, rotate the handle counterclockwise until the locking pins snap into position. 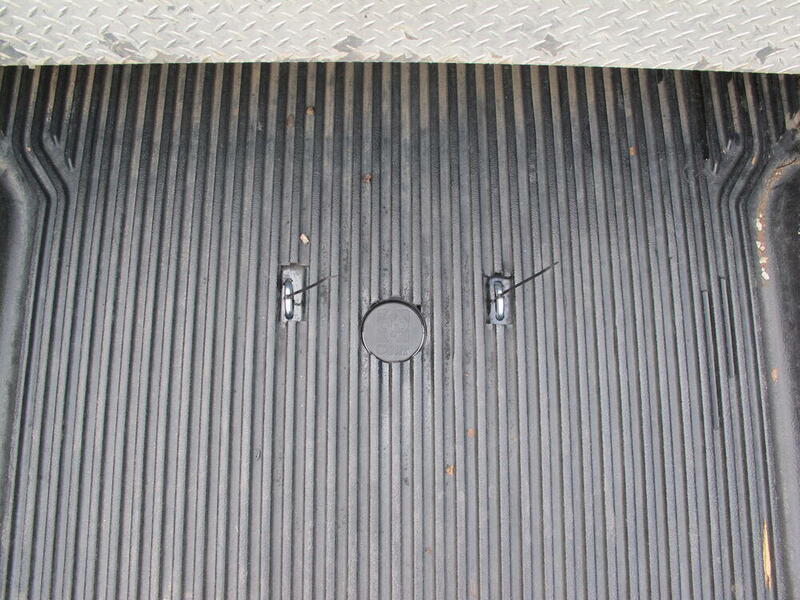 Because there are 2 locking pins instead of 1, you get extra security for your towing setup. Get full bed access when you're not towing. Just remove the ball, flip it upside down, drop it back into the ball hole of the hitch, and use the handle to lock the ball in place. A rubber cover is included with the Double Lock. 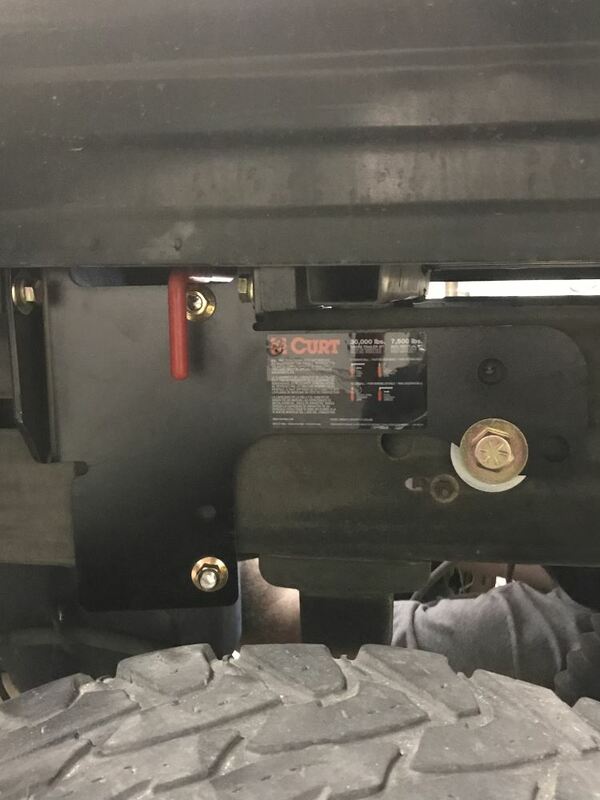 When the ball is stowed upside down in the hitch, place this cover over the ball hole to keep out dirt and grime and create a clean look for your vehicle. 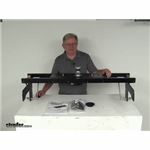 Today we're going to take a look at the Curt double lock, flip and store, under bed gooseneck hitch with the installation kit. Has a 30,000 pound weight capacity. This is a custom-fit part. 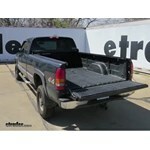 It is designed to fit the 1999 to 2010 Chevrolet Silverado and GMC Sierra 1500 and 2500 light duty and heavy duty trucks. It can work on either the 6 and 1/2 foot or the 8 foot beds. On any custom-fit I always like to recommend to go to our website, use our fit guide, put in your year and model vehicle and it will show you if this will work for your application. 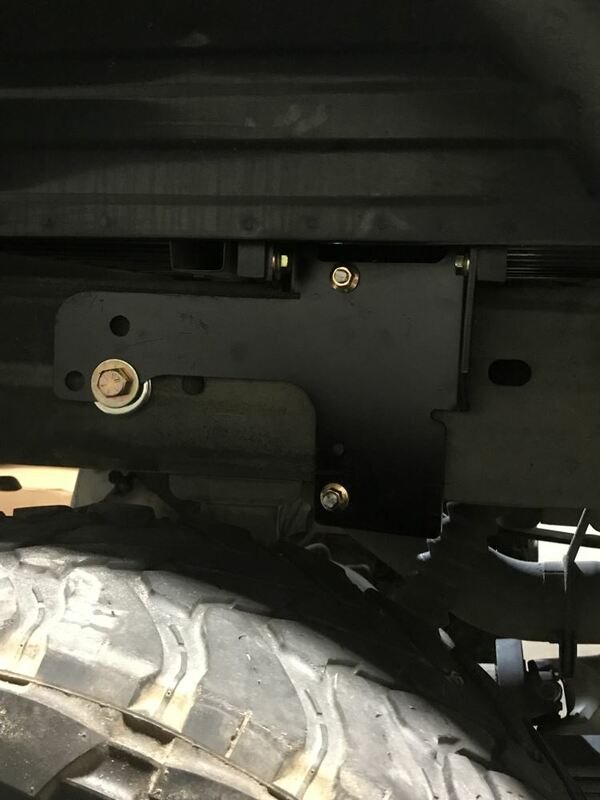 For this video I've installed the mounting kit to the hitch head to show you what this looks like when it's installed underneath your vehicle. 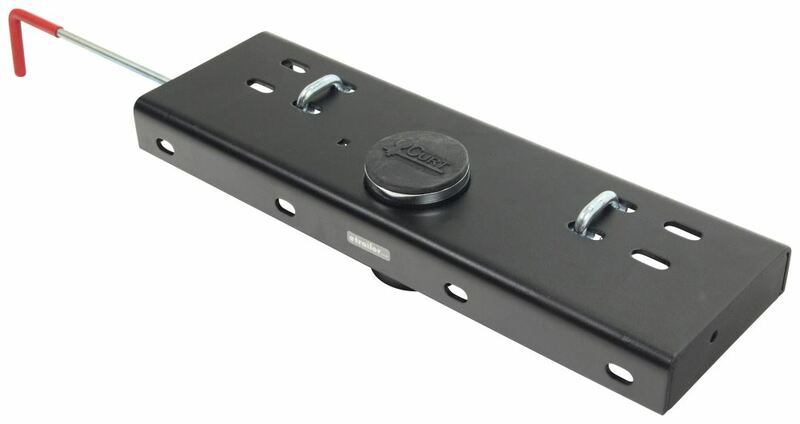 This is a heavy duty under bed hitch which will let you tow your gooseneck trailer. Uses a double lock system. In other words, on this handle there's two pins that will go in and lock the ball into place. That gives you added security with the two pins holding the ball into place instead of one. 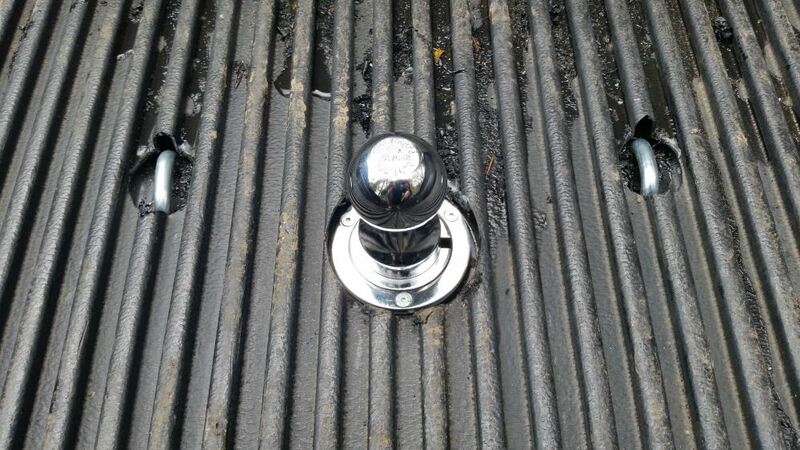 Does use a chrome-plated hitch ball which is easily removed when you're not towing for complete access to your truck bed. Basically you just flip the ball over and then store it upside down in the hitch for easy assess. Just to show you that right now, it's locked with the double pins into position so if I just pull this and twist it, that'll open that up and then you'll be able to pull out the ball just like that. You can see if you flip it over, there's a little handle there. All you have to do is drop it back into place, just like that. Then if you release your handle, the double pins will slide up and lock that into place. 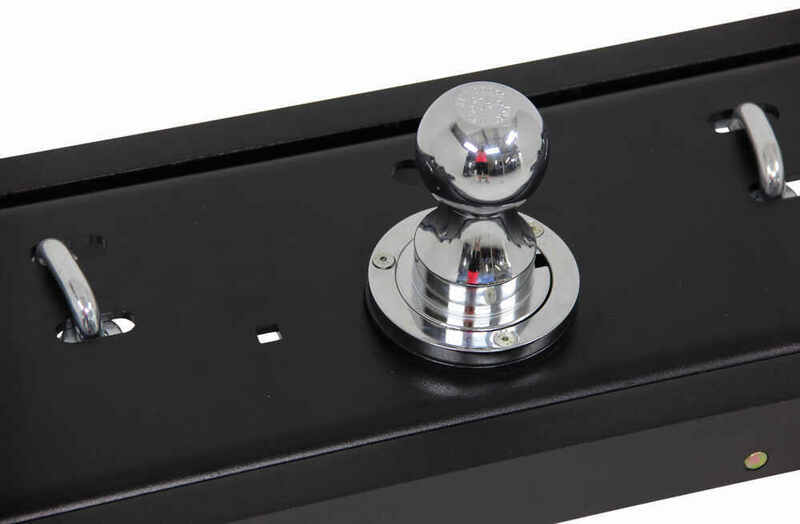 If you notice, has a nice chrome ring, surrounds the hitch ball hole, provides a nice, tight, low profile look. On the handle it has a nice, comfort grip handle. Can be positioned on either side of the truck. Right here I have it positioned on the driver side. If you want to put it on the passenger side, you can do that also. Does come with the safety chain hookups. They're built in. You can see they're spring loaded. Does have a nice zinc plating to provide superior corrosion resistance on the locking mechanism. 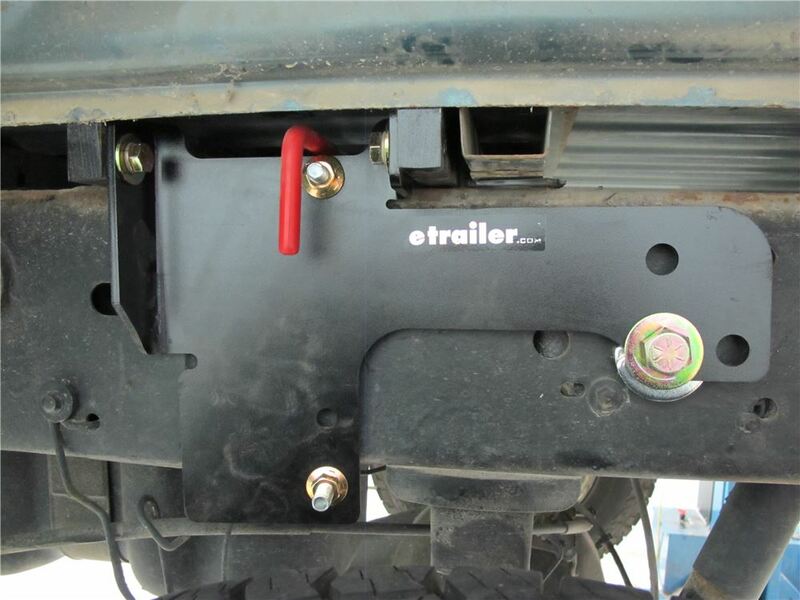 The actual mounting kit and the hitch itself has a black powder coat steel finish which is durable and corrosion resistant. It does come with everything shown here on the table. Comes with that mounting kit and all the hardware needed. 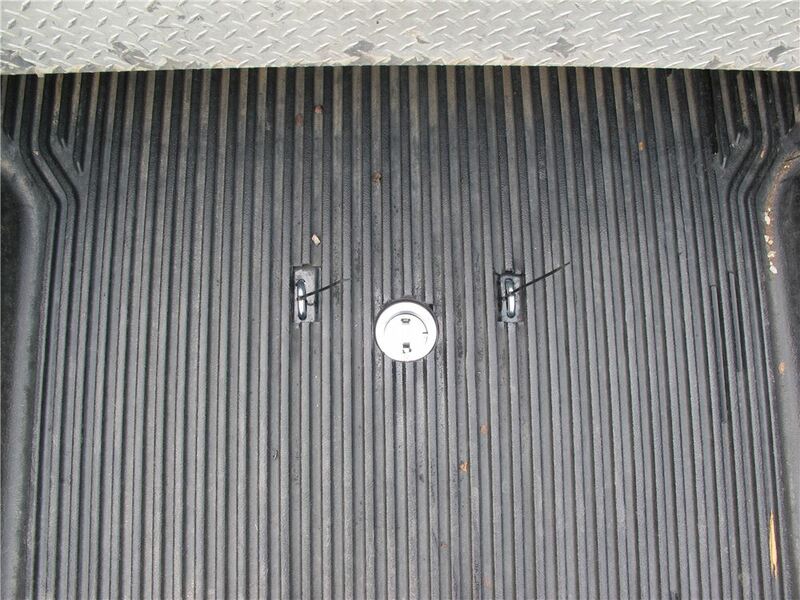 When you do install this, it does require to drill a 4 inch hole in the bed to be able to access the gooseneck ball and then four half inch holes for these safety chain U bolts to be accessible through the truck bed. There's no welding required when you install this. 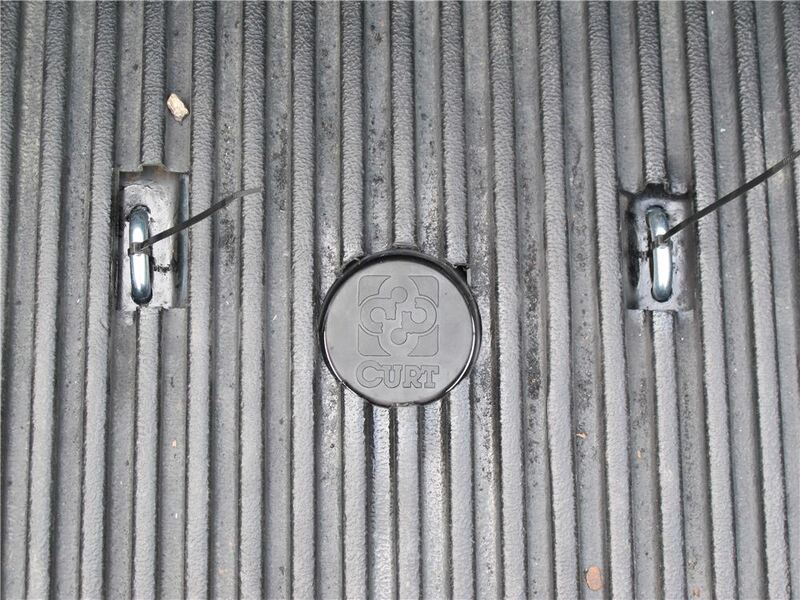 Another thing I want to show you is they do include a nice rubber cover so when you flip the ball over and you're not towing, you can just pop this rubber cover in over it and then you'll have full access to your truck bed for anything else. There are a couple additional accessories that Curt makes that you could use with this. There is an adapter plate that is made to drop in here. This adapter plate you can actually two 5th wheels with it. We do sell that on our website. 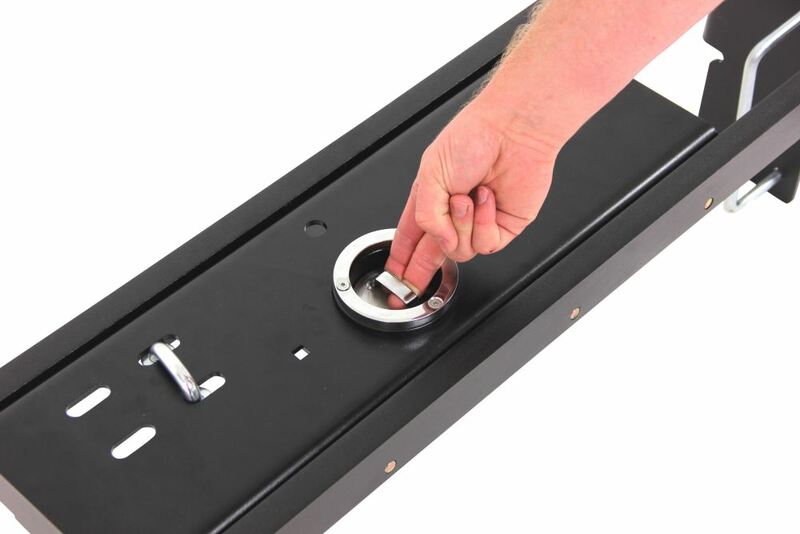 It's part number C16210 and it's designed to just drop into the hole and be able to use a 5th wheel. The other thing is they do offer an offset hitch ball. We do sell that, again separately. It's part number C602 and you can drop that in and the ball would be offset. 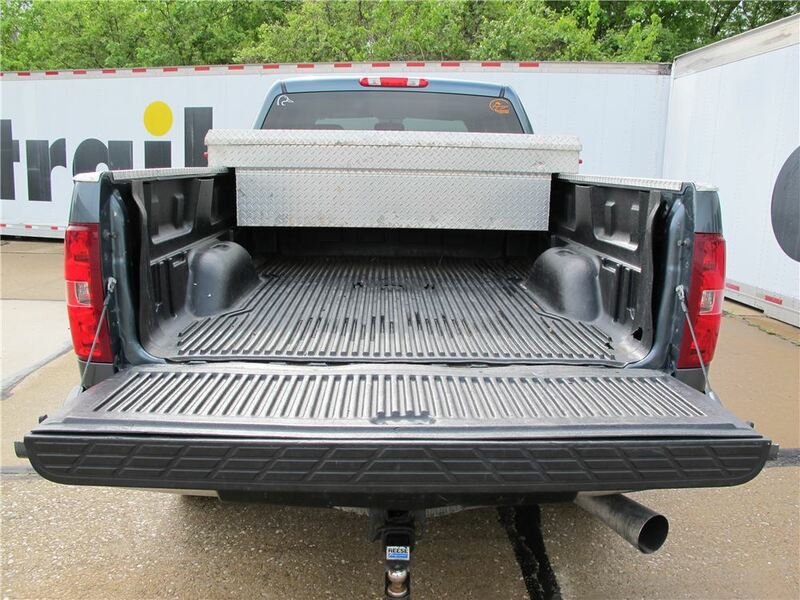 It'll create additional space between your truck cab and trailer. The ball size, let me take the rubber cover off and we're going pull the ball back up. Again, you just pull the handle, twist it, and that holds it open, grab this and pull the ball out, flip it over, drop it into place. The ball diameter is your standard 2 and 5/16 ball size. Gross towing weight capacity on this is 30,000 pounds and the vertical load weight capacity is 7,500 pounds. Again, we got it, let's lock it into place. You just twist that, it'll release the dual pins that will go across and hold it right into place and you're ready to tow. That should do it for the review on the Curt double lock, flip and store, under bed gooseneck hitch with the installation kit. It has a 30,000 pound weight capacity. 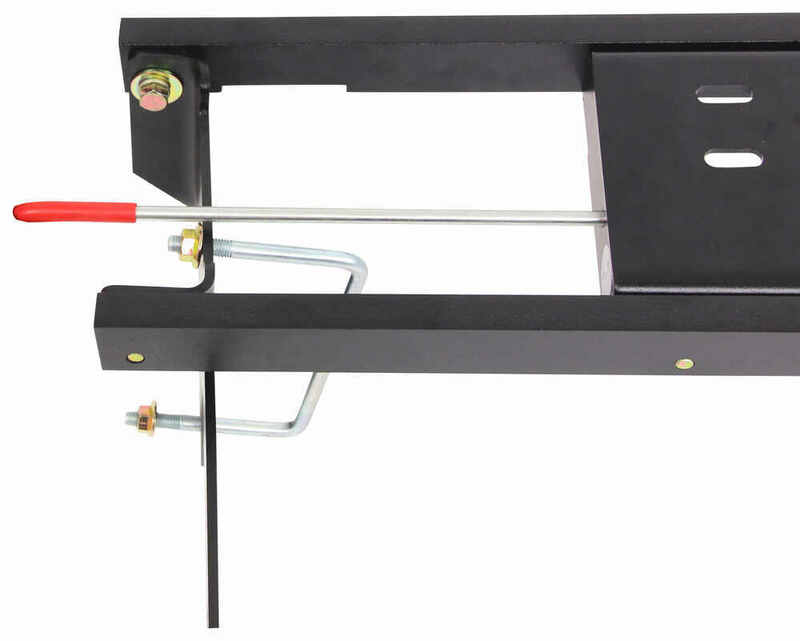 Order: RelevanceNewestRating - High to LowRating - Low to High Get a little extra security when you are towing with Curt's double-lock, gooseneck hitch. 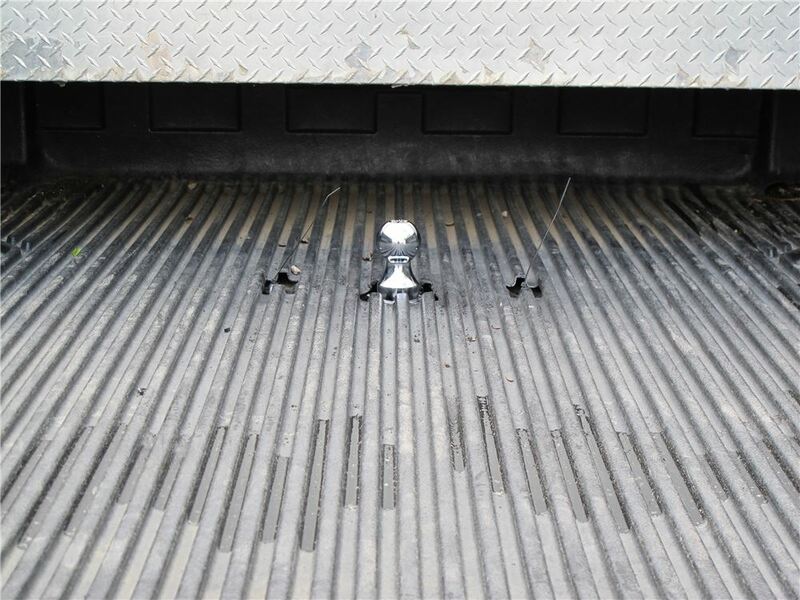 Chrome-plated ball locks in place with two pins while towing and flips over for storage inside the hitch when its job is done. Installation kit included. Since installing the hitch Ive used it for up to a 24 horse trailer, full of horses. No problems, the ball still slides in and out easily hasnt rusted in place, the release lever still functions great, all systems go! Thank you for your review. I have contacted Curt about the gooseneck ball getting stuck in the stored posistion. 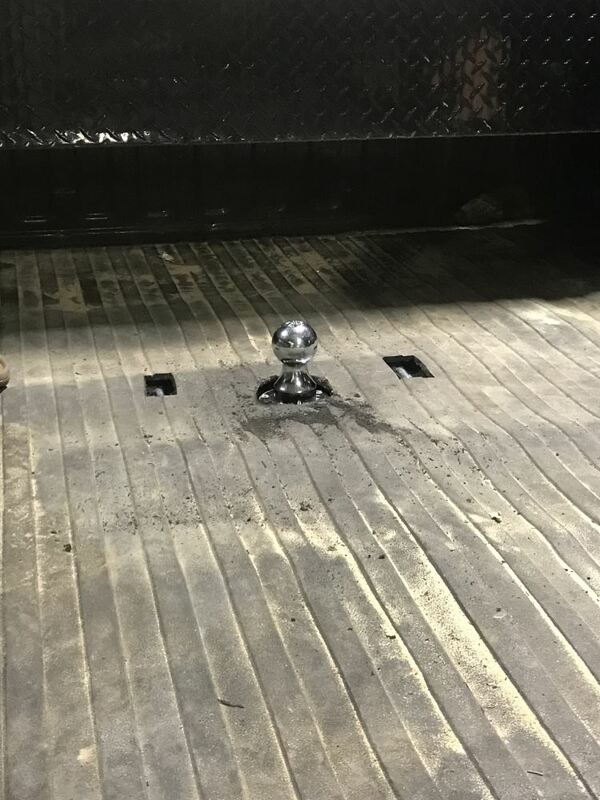 They suggest to go underneath the truck and to clean and apply liberal amounts of lubricant on all of the moving parts of the underside of the gooseneck hitch. Try to pull the lever to free the ball. If the ball comes free make sure to clean the cavity where the ball is stored. This cavity can become full of dirt and grime which can cause the ball to become stuck. 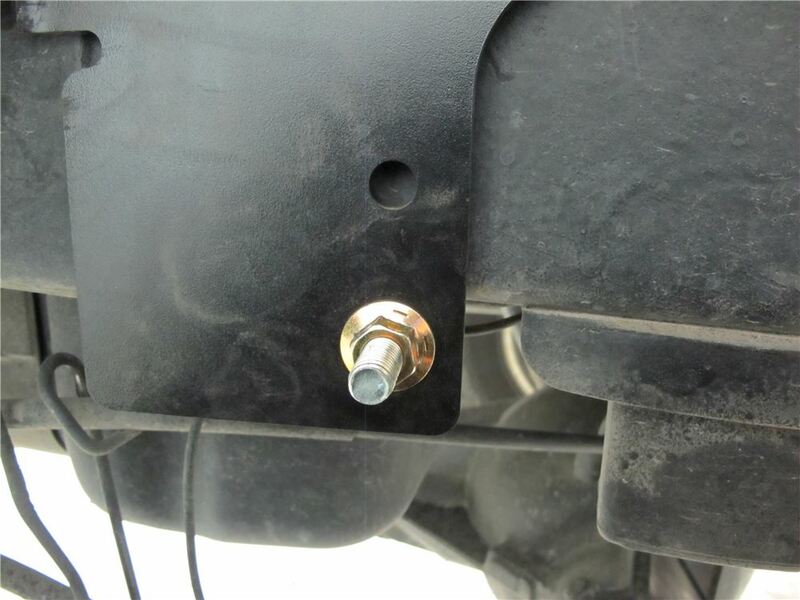 If you are still not able to free the ball, then you can also unscrew the chrome ring from the top of the hitch and remove the ball. Then make sure the cavity and the ball is properly lubricated with a grease such as part #L10337 before reinstalling the ball. 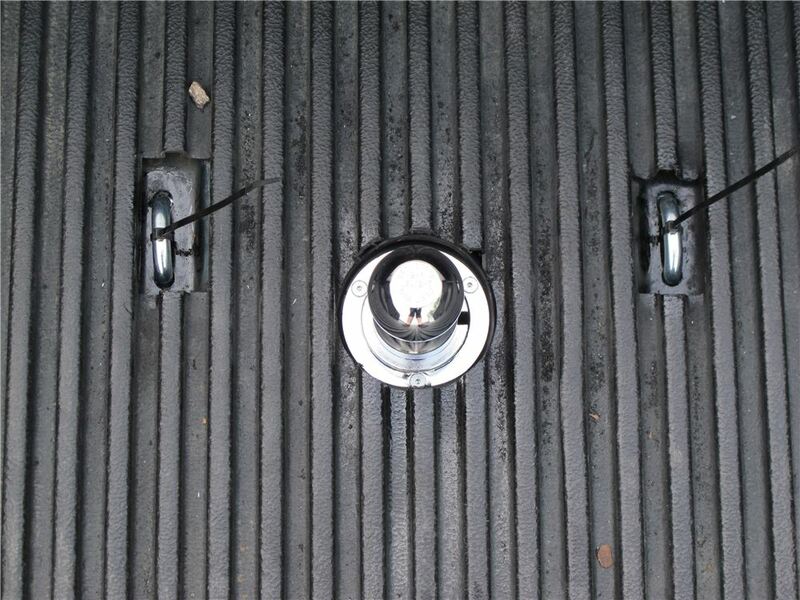 In order to tow your fifth wheel trailer with your new gooseneck hitch, youll need an adapter of some sort. If you use the provided link, you can see the various options available. Great addition to my towing needs. I have taken the hitch out many times and it has always performed well. Is the Curt Double Lock Gooseneck Hitch All That is Needed For Complete Installation on 2001 3500? 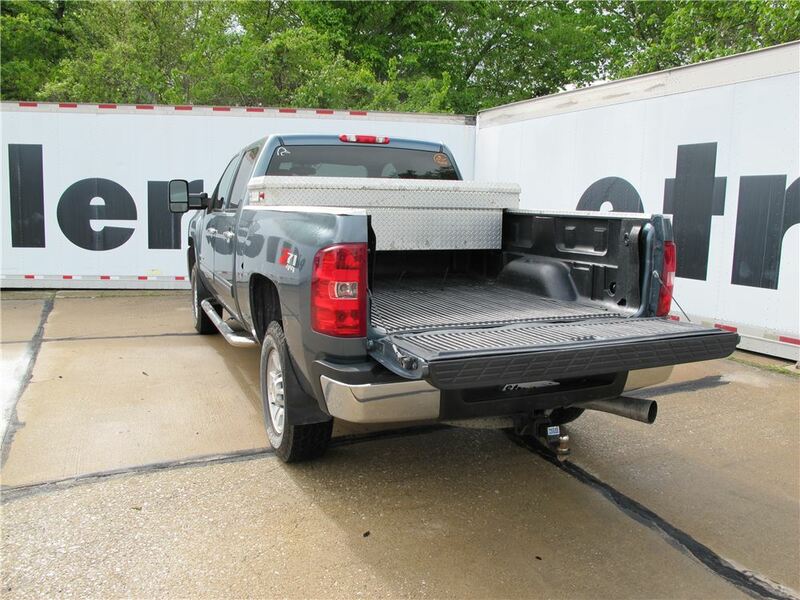 I spoke with my contact at Curt about installation of gooseneck trailer hitch # C60712 on your 2007 Chevy Silverado 2500 new body style short bed. The gap that you are seeing is supposed to be there. 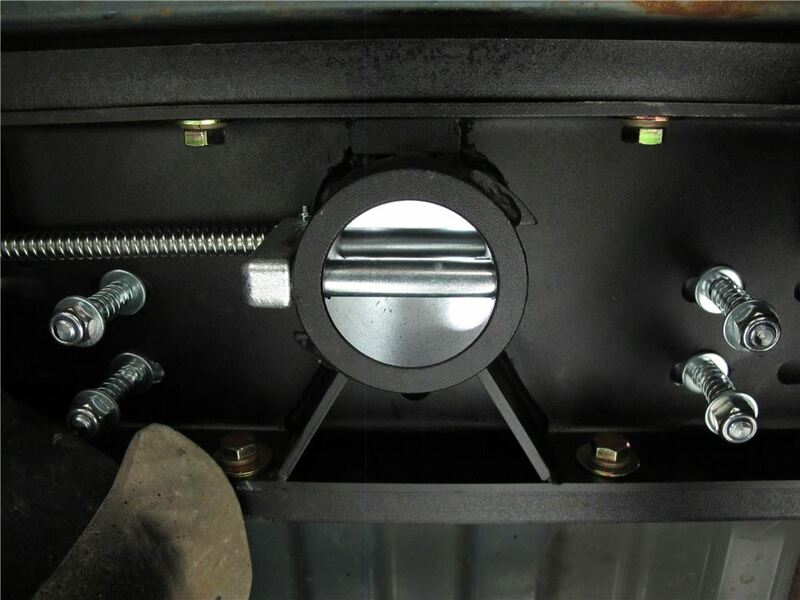 It is a result of some of the other hardware used toward the rear of the bracket and your installation is correct! 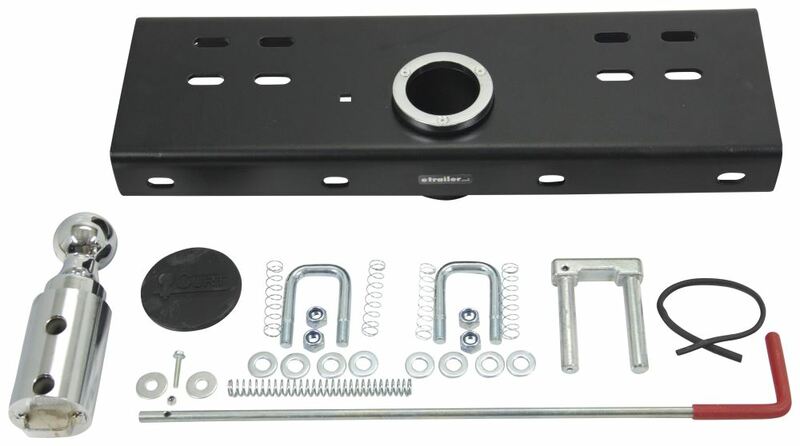 Yes, once you remove the B and W hitch you have installed in your 2005 Chevy Silverado the Curt hitch part # C60712 will install in place of it and provide you with a gooseneck hitch. I spoke with my contact at AirLift regarding the LoadLifter 5000 Air Helper Springs # AL57275 you have installed on your 2006 GMC Sierra. He stated that with this particular system there will not be any compatibility issues with a gooseneck hitch like the Curt # C60712. 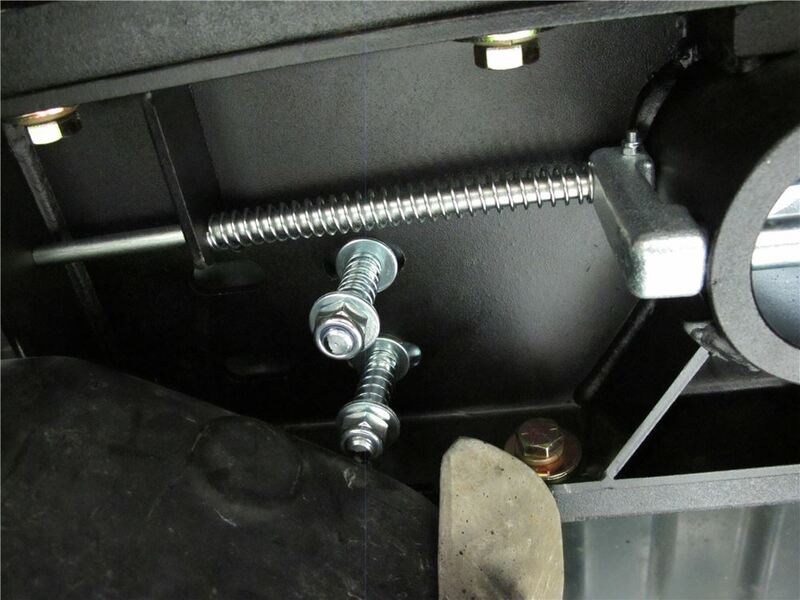 The air springs mount under the frame rail while most 5th-wheel and gooseneck hitches use the sides. 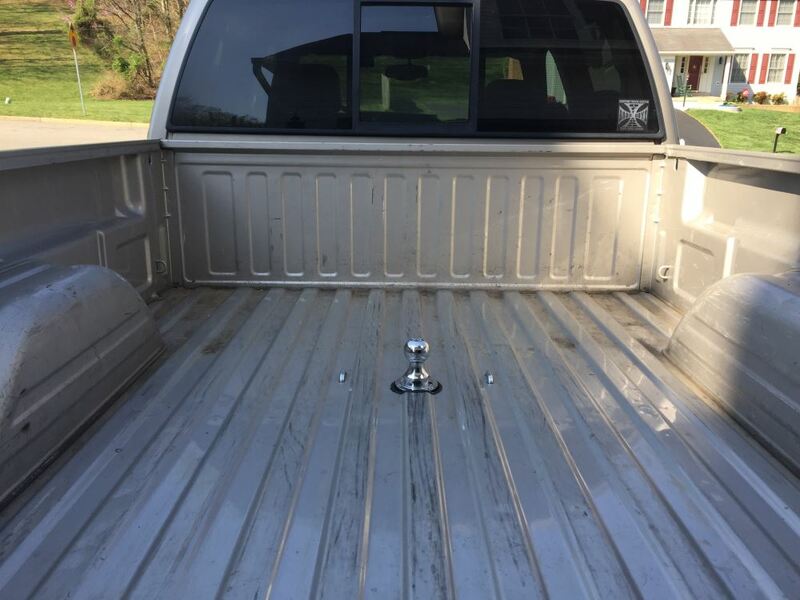 I checked with Curt to verify the fit of the Curt Double Lock Hitch part # C60712 on your 2002 GMC Sierra 1500 HD with a short bed and they have this hitch listed as a confirmed fit so it would work well for you. It is odd that this model of truck isn't mentioned in the instructions, but it does for sure fit. 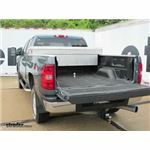 Yes, Curt Double Lock, Flip and Store Underbed Gooseneck Hitch # C60712 comes with the hitch, installation kit, and hardware to install the hitch on your 2002 Chevy Silverado 2500. Nothing else is needed. I have linked a video showing an example installation on a similar truck. 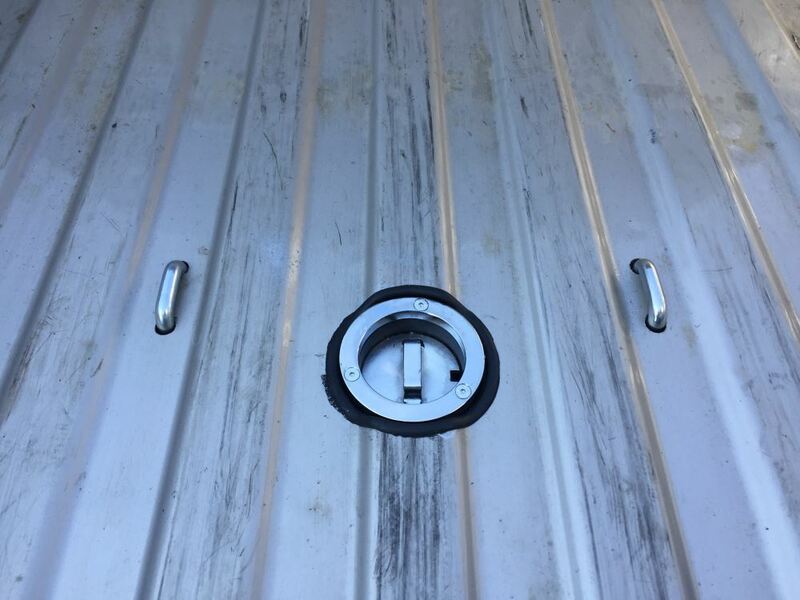 We have the Curt X5 adapter part # C16210 which is designed to fit Curt Double Lock gooseneck hitches like the part # C60712 that you referenced and will provide a set of fifth wheel rails. 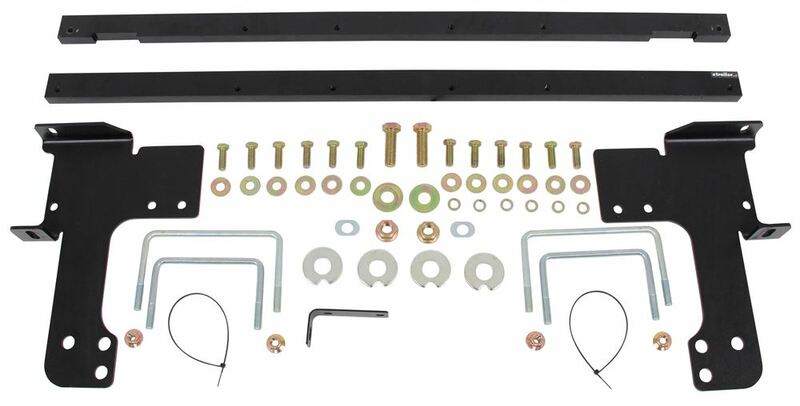 The only gooseneck hitch and install kit we offer that has been confirmed to fit your 5-1/2 foot bed 2006 Chevy 1500 Silverado is the Curt Hitch and Install kit part # C60712. 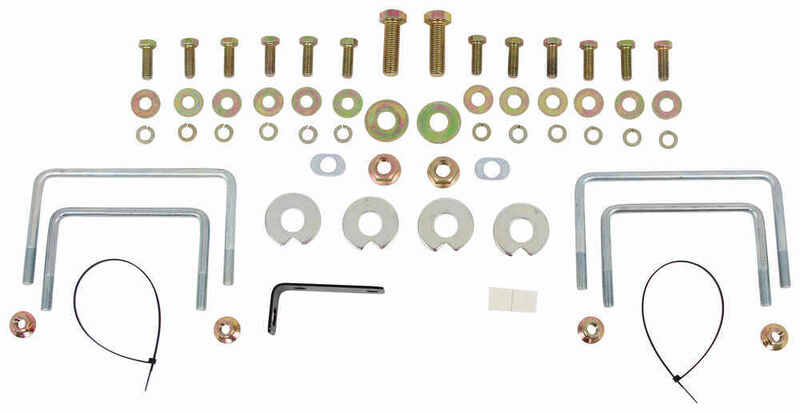 This comes with the hitch and rail kit so there wouldn't be any additional products needed for installation. For added clearance you would also want the part # C602. The Curt gooseneck hitch part # C60712 is not compatible with the B and W Companion hitch so I would not recommend it for you. 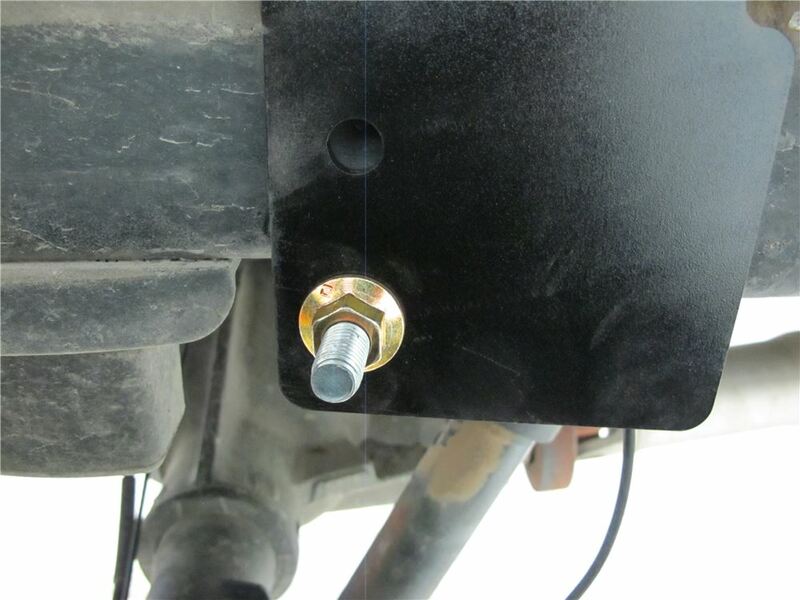 Your best option would be to install the B and W Fifth Wheel Installation Kit # BWGNRK1059-5W and then use the B&W Companion 5th Wheel Trailer Hitch # BWRVK3500-5W. 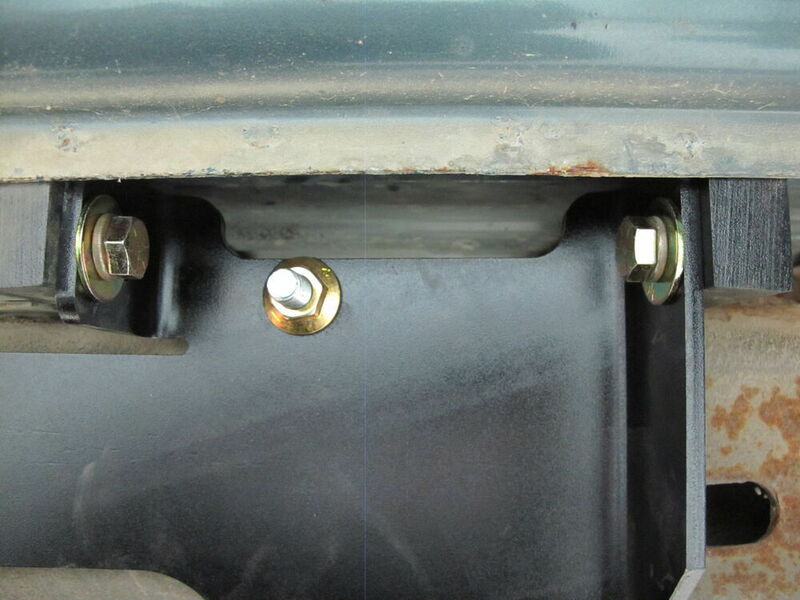 The head design is the same between the Companion hitch and the Patriot B and W hitches. I did some checking and the only confirmed fit I could find for a gooseneck hitch for your 2006 Chevy Silverado with a 5-1/2 foot bed is the Curt Hitch part # C60712. For additional clearance you will most likely need the part # C602. 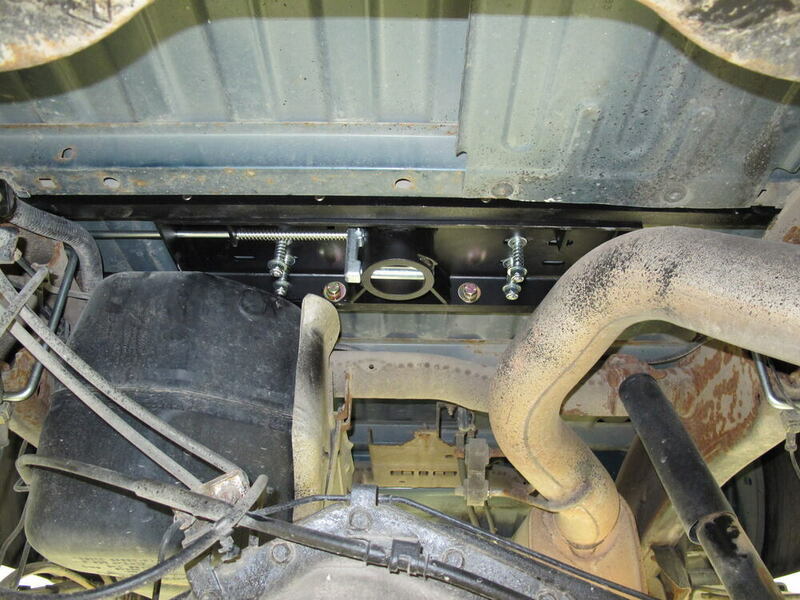 Yes, the Curt Gooseneck hitch part # C60712 that you referenced would fit your 2003 GMC Sierra 1500 LD if it is a 4 wheel drive or a 2 wheel drive. 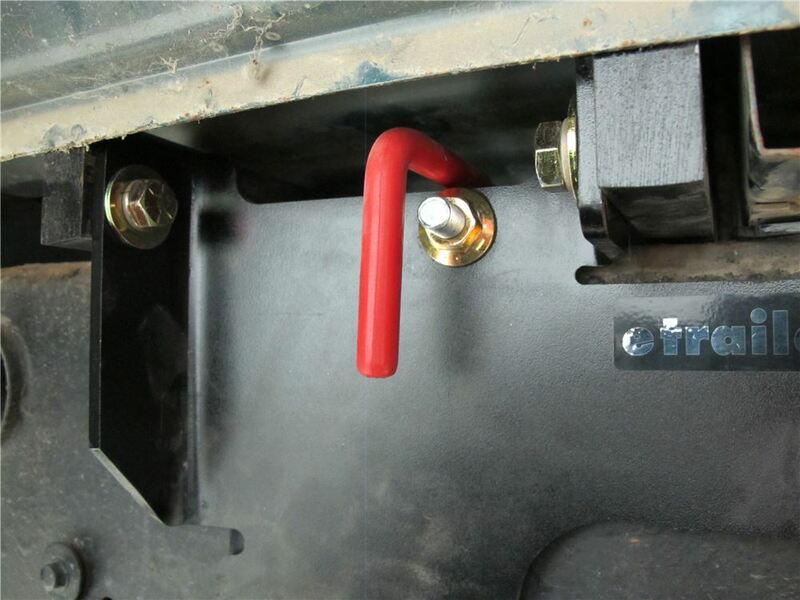 The Curt gooseneck hitch # C607-604 does not fit your 2001 GMC Sierra 2500. For that you'd want the part # C60712 instead which is a fit for your truck. I attached an install video for this kit for you to check out as well. Instead of picking out a hitch by dimension it's much easier and more effective to go by what the manufacturer recommends for the vehicle.